Why Did You Want to Return to Survivor and Play with Your Loved One? Survivor gets in your blood. It is a thrill and an honor and a quest to get to play! Then to be able to share the experience with my daughter who happens to also be my best friend, what a gift! Personal Claim to Fame: Raising thousands of dollars for the American Lung Association by climbing 55 flights of stairs at Penn Plaza. Inspiration in Life: Anaïs Nin was a strong independent woman who paved the way for women writers, especially in regards to sexuality. She was a bi-coastal, man-eating tigress. Hobbies: Yoga, playing ukulele/banjolele, hiking and sailing. Pet Peeves: Grammar misuses and poor manners. 3 Words to Describe You: Creative, funny and driven. SURVIVOR Contestant You Are Most Like: I share DNA with my mother who was on season 2 so I can’t relate any more than that! I can also relate to Whitney Duncan because she was smart, southern and was a musician. Reason for Being on SURVIVOR: Claiming the title of “sole survivor” would be a huge accomplishment. Being able to do this with my Mom is the coolest! Why You Think You’ll “Survive” SURVIVOR: I am certainly not a quitter and the final Survivor has to earn that title, which I have every intention of doing. It’s time to get down and dirty. Why You Think You Will Be the Sole SURVIVOR: I’m wildly creative and that translates to everything I do - cooking, games and strategies that would put my team and I ahead of others. 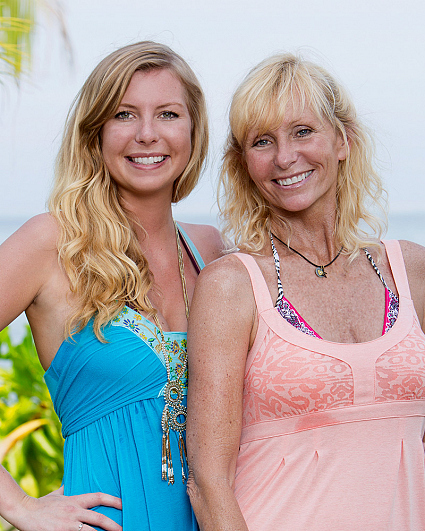 What Does It Mean to You to Play Survivor with Your Loved One? My Mom is the single most amazing person I know. To play Survivor together definitely tops any experience we have ever had together. I can't wait to compete with or against this truly amazing woman, as a daughter and a best friend, it's an honor!